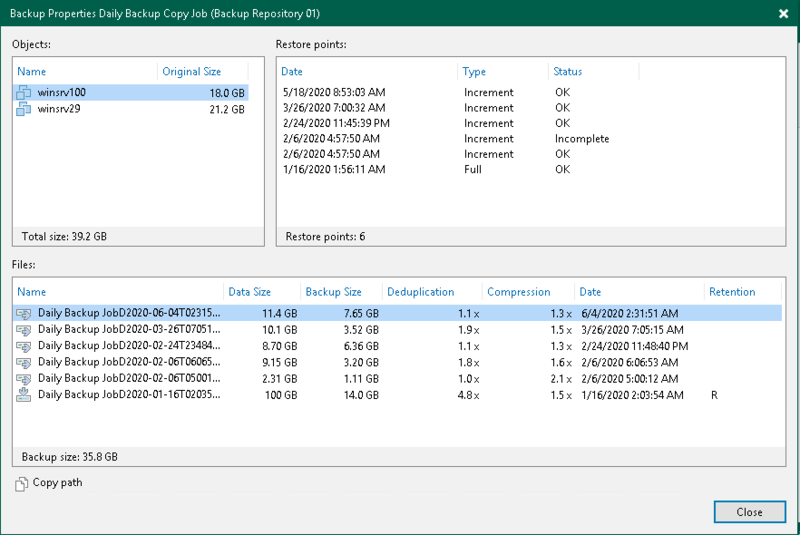 You can view summary information about created backup copies. The summary information provides the following data: available restore points, date of restore points creation, compression and deduplication ratios, data size and backup size. In the inventory pane, select Backups > Disk (copy). In the working area, right-click the backup copy and select Properties.